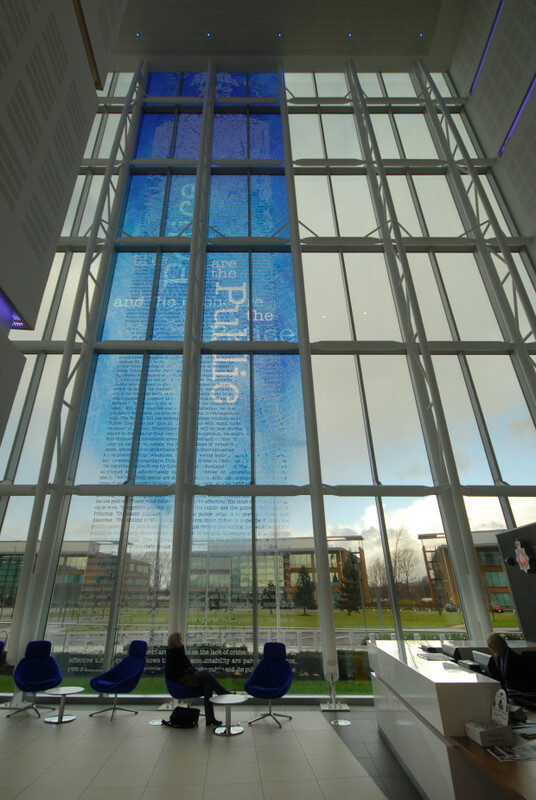 The main entrance is a monumental image of Sir Robert Peel, the form is made-up of hundreds of lines of text in blues and whites. The change in coloured text create the image rather than any shapes and forms. 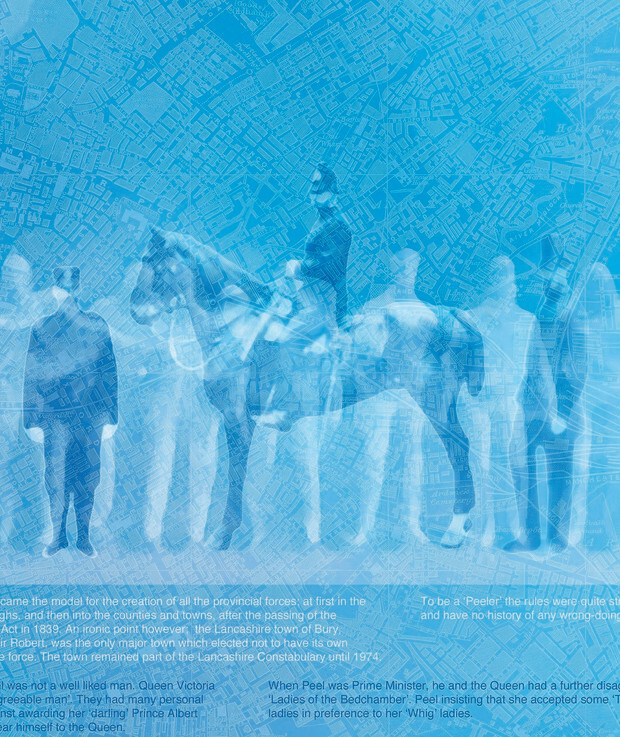 The text contains many quotes from Sir Robert Peel together with a brief biography and history of policing. 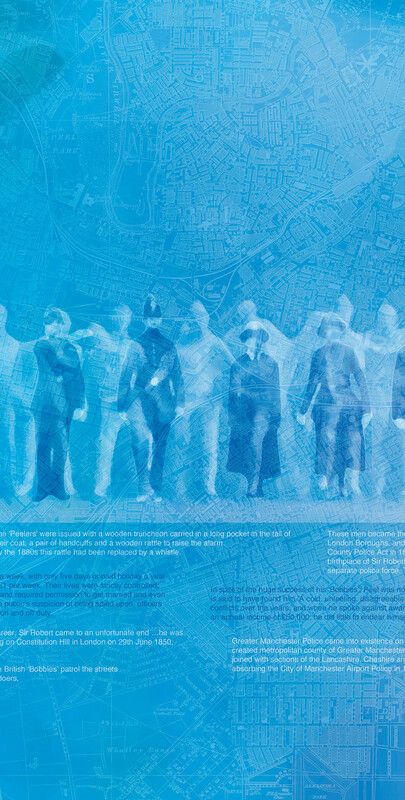 The design also contains a large area map of historic Manchester. 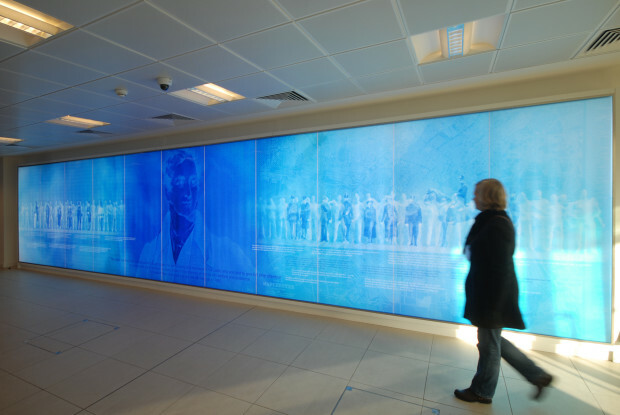 I worked with members of staff to select images and text to be etched onto the glass. 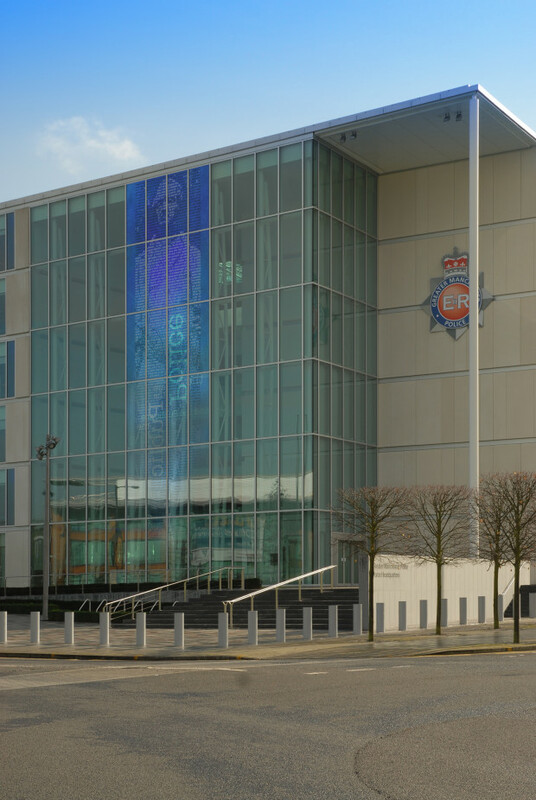 The staff entrance is a “Blueprint” almost a metaphor for Sir Robert Peelʼs concept to create the Police Force as we know it today. The design also draws on the memorable principle of “the police are the public, and the public are the police” with a line of human figure forms that contain images of Police Officers; both men and women in an evolution of Police Uniforms from the 1850ʼs to present day.